Well, this is upsetting. 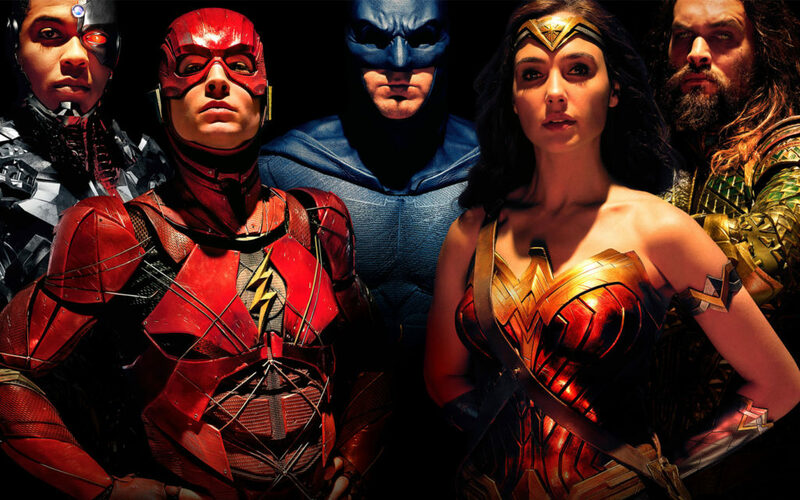 It turns out that Wonder Woman, the indestructible Amazon princess and box-office queen, does indeed have a weakness: She lacks the power to save Justice League, an uninspiring superhero movie that fails to reach its potential. Justice League isn’t as brooding as Batman V. Superman: Dawn of Justice or as frenetic as Suicide Squad. At a mere 110 minutes(!!! ), it never outstays its welcome. The film is just . . . fine. But considering this chapter of the D.C. comic book universe features all its A-listers — including Wonder Woman (Gal Gadot), Batman (Ben Affleck), Superman (Henry Cavill) and Aquaman (Jason Momoa) — the word “fine” is like kryptonite. Re-read that lineup. These are the classic superheroes we adored as children. A much-anticipated movie should be an exciting event, not a mildly fun, noticeably flawed vehicle that leaves the consciousness as soon as the closing credits roll. Now if all these superheroes are going to unite, there better be a super incentive. As in, the end of the world is at stake. Done! Steppenwolf (Game of Thrones’ baritone-voiced Ciaran Hinds via motion-capture technology) is an evil monster-god-being thing that arrives to Earth with his army to destroy it. To accomplish this mission, he needs to track down three power-wielding “Mother Boxes.” Steppenwolf been buried in the Justice League trailers for reason — the alleged formidable foe is such a stock B-grade villain that I had to Google his name to re-jog my memory. Just know that he’s evil. Batman alone can’t stop him, so he enlists his ally Wonder Woman for help. (Technically speaking, alter-egos Bruce Wayne asks Diana Prince.) Together, they travel to all corners of the world to recruit a team of special whizzes. Barry Allen/The Flash (Ezra Miller) is a hyped-up teenager who could use a few friends. Arthur Curry/Aquaman is a beast in the water and heir to the throne in the underseas nation of Atlantis. Victor Stone/Cyborg (Ray Fisher) can manipulate technology due to body reconstruction in the wake a nearly fatal lab accident. As for Clark Kent/Superman, he perished at the end of Batman V. Superman. Wink. It’s a minor miracle that a D.C. film features humor at all. For that, let’s thank director Joss Whedon, who took the reins here after Zack Snyder had to leave the project for personal reasons. He takes a comic-book page from Marvel’s The Avengers (which he also directed) and infuses Justice League with a zippy energy — especially whenever Miller’s The Flash zooms around. The levity is more effective than the heavy melodrama that permeates throughout. I grew restless as Superman’s beloved Lois Lane (Amy Adams) and adopted mom Martha Kent (Diane Lane) moped around The Daily Planet, grieving his death. Did they not see that Cavill is billed second in the opening credits? Those precious moments could have been better spent fleshing out the newer characters. If Wonder Woman roped me in with her truth lasso, I’d say Superman is the most expendable superhero anyway. At least Cavill’s Superman. Chiseled looks aside, the actor still has trouble giving the Man of Steel a palpable soul. Affleck fares better as long as he isn’t staring at a computer in the Bat Cave. It’s Gadot who literally and metaphorically shields the Justice League from despair. Now that she’s a blockbuster goddess (Wonder Woman grossed a whopping $416 million this summer! ), the actress is rewarded with a heftier role. (I suspect all the Steve Trevor mentions were scribbled into the script around August.) As Diana, she confidently challenges Bruce’s opinions. As Wonder Woman, she deflects bullets with a simple flick of her wrist. I don’t know about Aquaman, The Flash and Cyborg yet, but I always felt safer whenever she was on screen. If a D.C. universe movie is truly going to triumph, it needs to add something fresh to the genre. The sight of well-muscled, costumed superheroes standing in a line ready to take charge doesn’t have the same oomph as it did five years ago. Bring on the excitement and the death-defying thrills and kooky humor for the sequel. After all, nothing is more frustrating than a big-budget extravaganza that just flies by night.